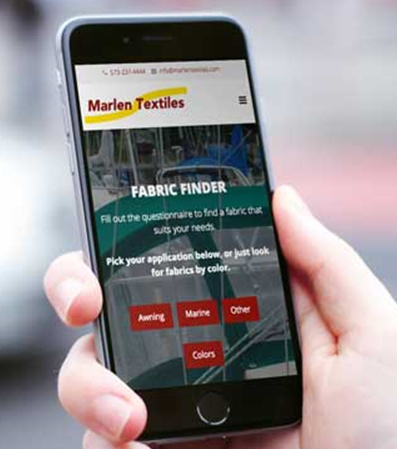 Marlen Textiles has introduced an App to help customers determine which fabric is best for which application. Built on its Fabric Finder matrix that shows how each fabric performs in a variety of factors that are important to the fabric user, this App will make it easy to navigate thru the breadth and depth of Marlen textiles' fabric offerings. It can be used on any device that has an internet connection. Click Here to be taken to the page to download the app.